One of the benefits of being The Hotdogman is people send me stuff! I recently received some Slawsa from the nice folks at Nicole Foods. 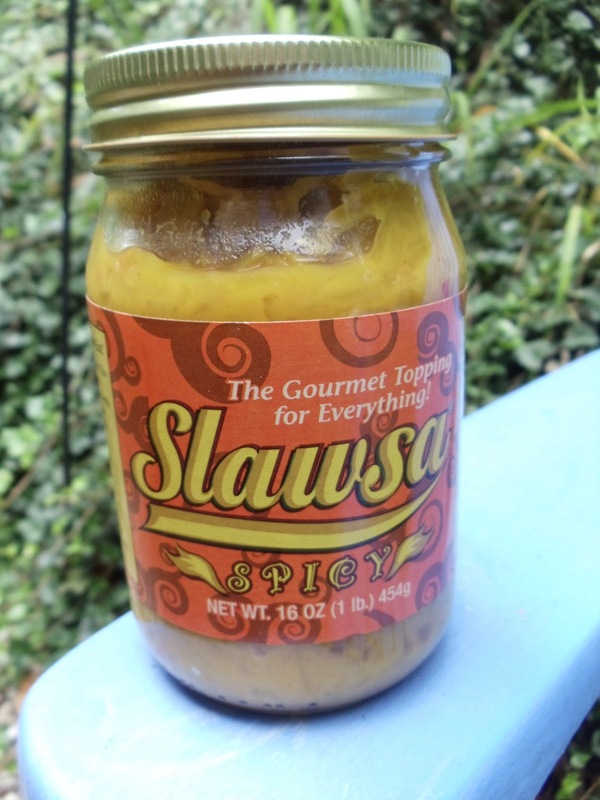 Co-owner Judson Odom of Chattanooga, TN has been whipping up batches of Slawsa for decades. He recently partnered up with Julie Busha and Julie took Slawsa nationwide. 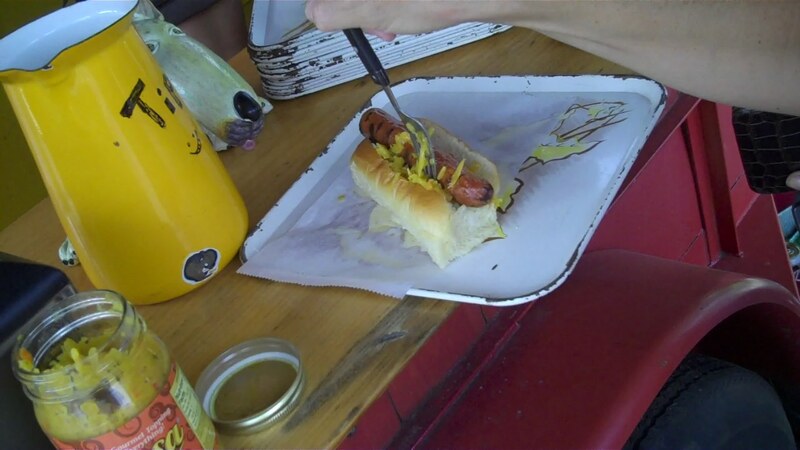 The condiment, which is a mix of slaw, mustard, and other goodies is billed as a hot dog topping. Basically, it's a cross between cole slaw and salsa. I hadn't tried it- until today. 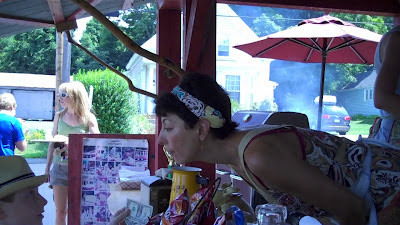 I decided to see what the local "Queens of Condiments," Lisa and Teresa, the wacky and lovable Snappy Dogs gals, thought of Slawsa, so I headed out to Hopkinton with a jar of the Spicy Slawsa. The Snappy Dogs ladies have more than a dozen home made condiments on their trailer, so I wanted their expert opinion. 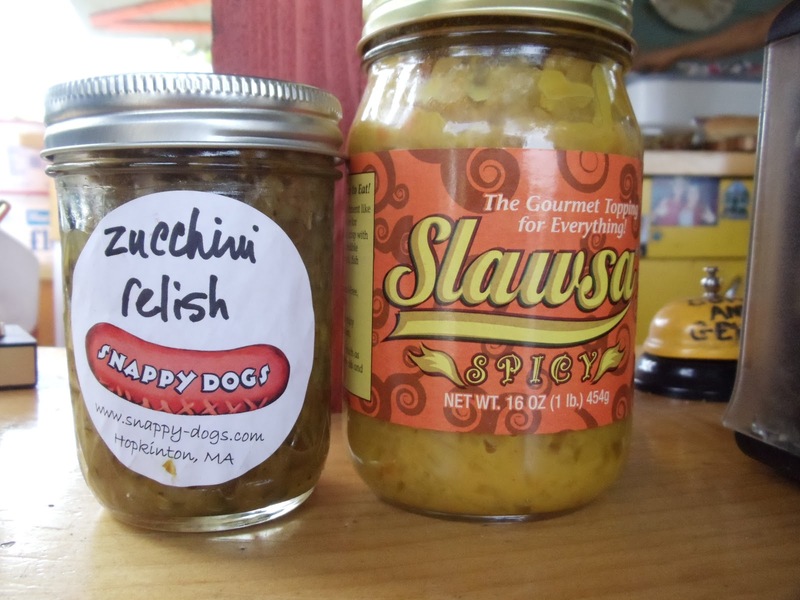 Slawsa fits right in with what they're doing at Snappy Dogs. Both Slawsa and Snappy Dogs use down home style recipes and both businesses believe in giving back to their communities. Here's Lisa taking an order for some Snappy Dogs. 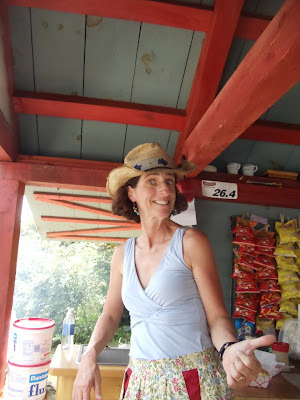 That's Teresa, being a bit silly- as usual! 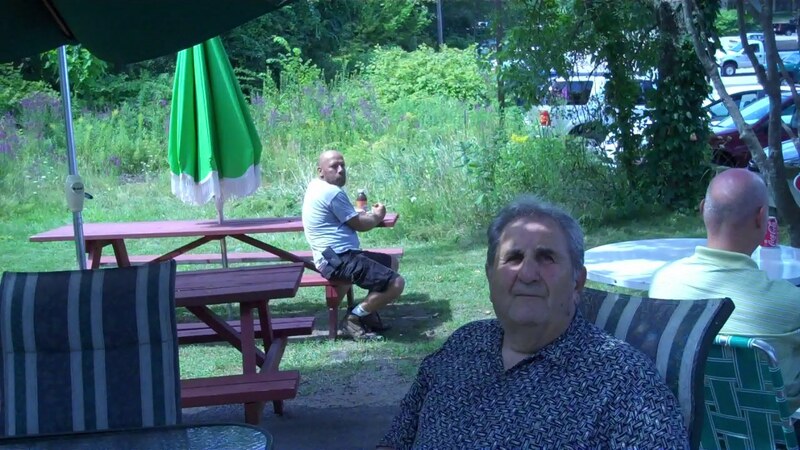 Big Tony- Lisa's dad- tried the Slawsa. So did this gal. I detected a southern accent while chatting with her, so I thought it might go over well with her. Quite a few Snappy Dogs got loaded up with the Slawsa. The jar was GONE when I left! I had a Slawsa Dog before it got emptied out. 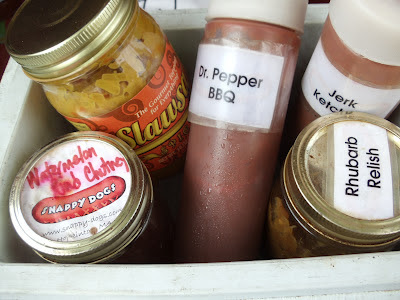 I had it with Dr. Pepper Barbecue Sauce and Onion Crunch. 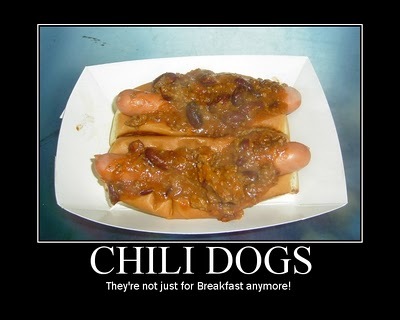 I couldn't resist the Snappy Dogs Friday Special. 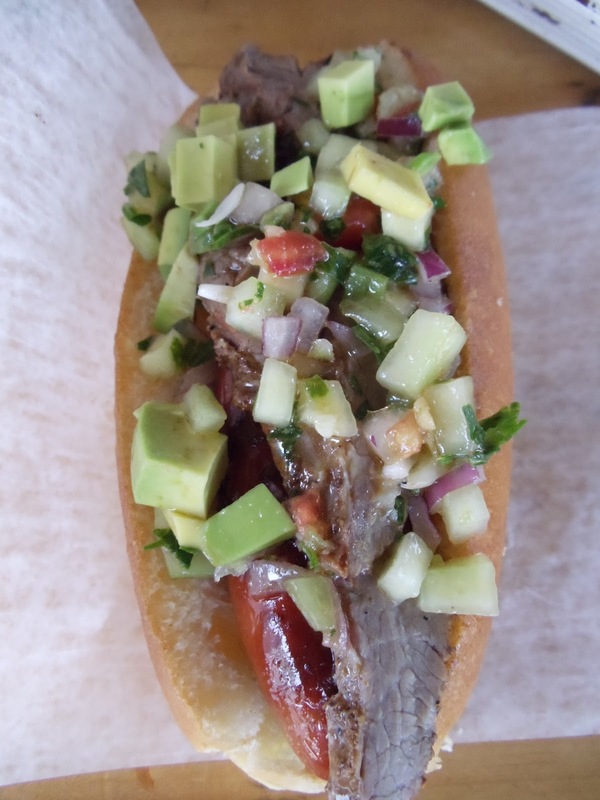 Today's special was the Senor Beefy - a grilled Snappy Dog topped with marinated and grilled steak, avocado, and a bright pico de gallo. Snappy Dogs is AWESOME! 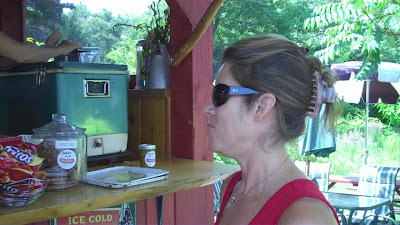 Mrs. HDM and I will be taking Slawsa on the road with us later this month when we go Hot Doggin' in Maine, so we'll get more reactions then. Here's a little video I shot of my visit. I have it posted up as the featured video on Hot Dog Stories too.